A single-wide mobile home is one that is most often 14 by 60 or 16 by 80 feet. It can have one to three bedrooms and have a variety of amenities like dishwashers and garden tubs but always has the same long, rectangular shape. The underpinning of the trailer will help to give it a look more like a site-built home. Otherwise, you can make alterations and additions to get more use from the mobile home as well as achieve a more site-built-home look. Any electrical work should be done by licensed electricians. There are two basic ways to build a porch or deck onto a single wide trailer: build on site or attach a preexisting structure. Building on site consists of digging a foundation and adding footers. You can make flooring and design choices after finishing the basic framework. Bring preexisting structures to the home site and connect them to the trailer. 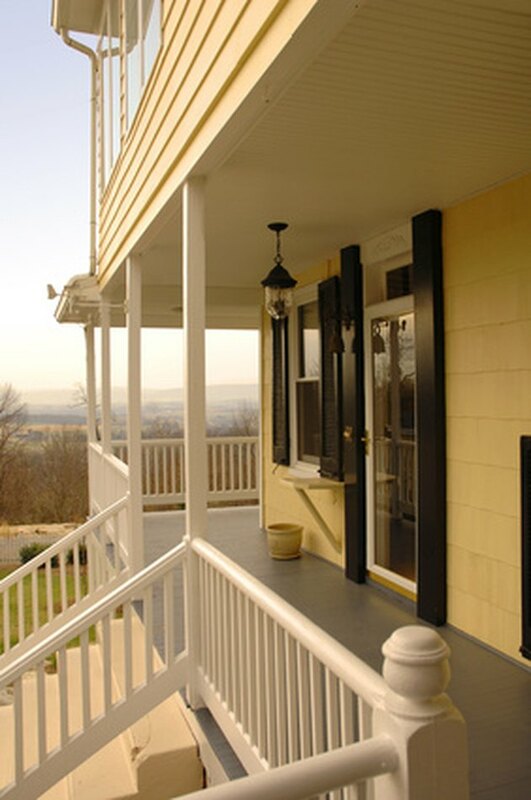 Add decking to the outside edges to serve as a hand rail or guard rail. The vinyl siding should be of the same type and material as that already on the home. Add steps or a ramp if the porch is high. Purchase steps from a manufacturer and attach to the porch with nails or screws. 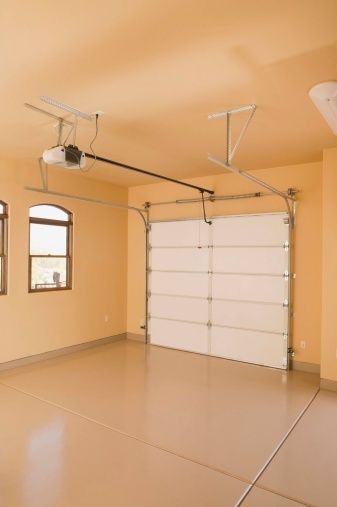 Building a garage for a single wide is much like building a porch or deck. It can be preexisting or built on the site. Build foundation and flooring the same way as when building a porch. However, extend the framework to include walls and a ceiling before choosing a flooring type. 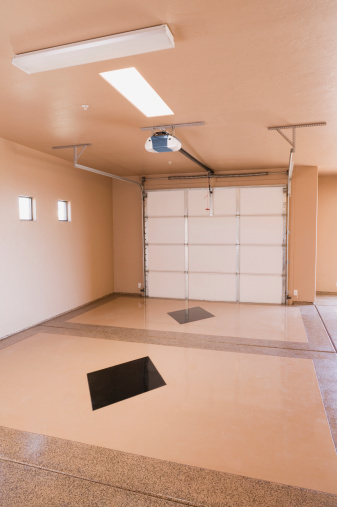 Garages often need extra lighting installed by a professional electrician. Purchase a garages already assembled or in large pieces to assemble yourself. Cover the outside of the garage in the same materials that are used on the rest of the house. Add extra bedrooms or larger living space. Building an addition requires a foundation and frame. Assemble insulation and walls. Bring in an electrician to install any electrical components. There are many choices in wall covering, from pine panels to drywall. An addition can also include a bathroom. Enlist the aid of a professional plumber for all plumbing needs to avoid costly repairs later.